Red Soho opens its door to yet another talented youngster known as Tomac. He presents to us a dazzling debut EP that includes two well though out deep progressive trance records that will take you to another place. First up is ‘The Quest’, a warm, melodic rendition crafted with a blissful piano line and heavy sub bass. 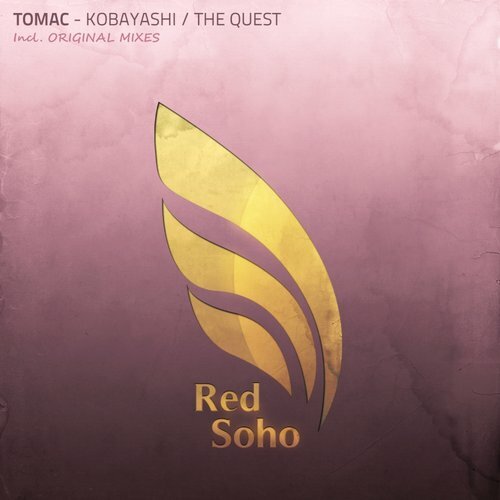 On the latter, Tomac delivers “Kobayashi”, this time around he takes things to a more prog-lifting route while maintaining a dark and atmospheric groove to the piece. Support by: Markus Schulz, Giuseppe Ottaviani, Ruben De Ronde, Manuel Le Saux, Airbase, Mike Foyle and more.